Magento 2 extensions and configure the pages on your own basing on available layouts and 19+ available components. Easily you just need to combine these elements to create any pages as your expectation. Once you purchase magento page builder, you will get lifetime updates, dedicated support and detailed documentation to help you through the configuration. 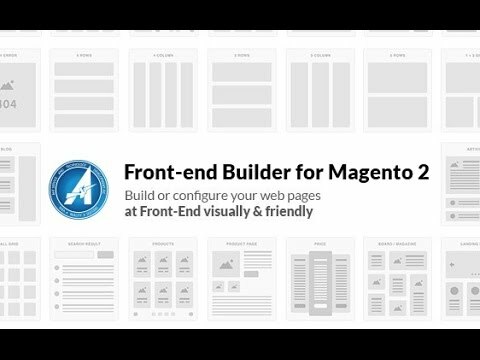 Please purchase and update Frontend Builder for Magento 2 from our detailed description pageFront-end Demo and Back-end Demo with detailed tutorials. Last edited by Magento Nguyen; 05-04-17, 03:38 AM. All times are GMT+1. This page was generated at 15:59 PM.